The age of the connected car is solidly upon us. Both OEM and aftermarket connected car technologies are changing the driving and car ownership paradigm: creating immersive experiences, providing new kinds of convenience, helping dealerships build customer relationships and enabling car owners to stay connected with their loved ones. The automobile can make life for the driver convenient in new ways as it develops new connected capabilities such as allowing “pay by car” or becoming a secure delivery destination for on-demand packages ordered from online retailers such as Amazon. These juxtapositions of seemingly disparate verticals will become more and more commonplace as cross-industry and cross-discipline collaborations develop exciting new technologies that intertwine the car into our lives in innovative ways. According to Business Insider, Americans spend 300 hours per year driving, which means there would be plenty of time in autonomous vehicles to consume new services—or targeted marketing. Connected car technology streamlines the relationship between car owners and their dealerships and service centers, providing huge rewards for both sides. The vehicle itself becomes a two-way communication platform that helps dealers and customers keep in touch, track service schedules and repairs and build a partnership based on mutual benefit. For example, when a vehicle generates a diagnostic trouble code (DTC) indicating it needs service, the LoJack® SureDrive™ connected car app can alert the dealer and customer if they’ve opted-in. The customer can then schedule a service appointment directly from within the app. Additionally, the connected car gives consumers deeper insights into their vehicles and helps them keep connected with their loved ones. For example: SureDrive lets consumers set virtual boundaries around important locations such as a workplace or a teen driver’s school, and then alerts you when the vehicle enters or exits the area. If a loved one is involved in a crash, connected family or friends will get an alert right away—and the CrashBoxx™ Instant Crash Alerts feature also sends the location and severity of the crash to the 24/7 LoJack Command Center, who can use that information to properly dispatch emergency services. The car is more than a vehicle; it is a connected compute platform that gives businesses, services, customers and capabilities access to each other in an expanding universe of new possibilities. 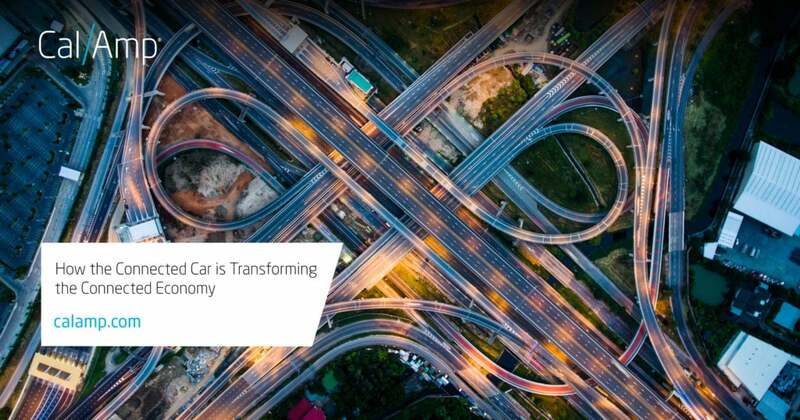 To learn more about how CalAmp is helping the connected car drive new use cases in the IoT economy, check out here.